College students have spoken, and it's Google they most want on their resume. 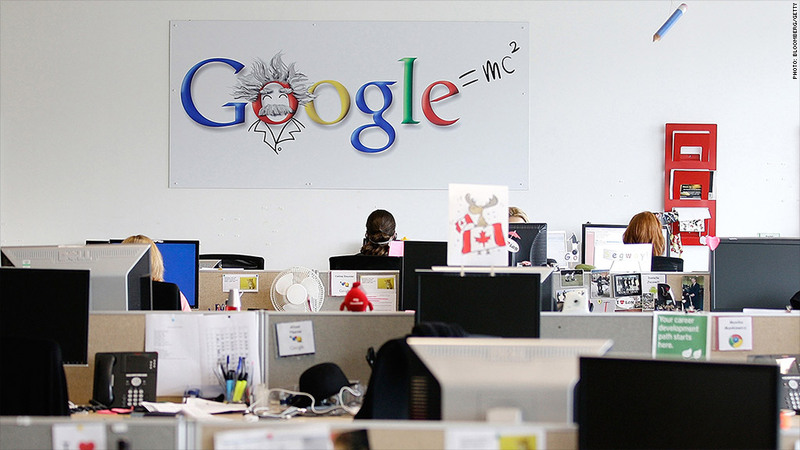 In a global survey of business and engineering majors, Google (GOOG) was chosen as the most desirable employer, according to research firm Universum Global. The Big 4 professional services firms -- EY, PricewaterhouseCoopers, KPMG and Deloitte -- filled out the rest of the top 5 among business students asked where they'd most like to work after graduation. Among engineers, it was more about cars (BMW Group), tech (Apple (AAPL) and Microsoft (MSFT)) and, well, a whole lot of things (GE (GE)). The Big 4 are gaining in popularity with business students who find the firms' strong company culture and training and development programs appealing, says Petter Nylander, CEO of Universum. But it's not all about the office experience -- business students said their future paycheck is still their no. 1 priority. Meanwhile, software firms have slipped in business students' rankings in recent years, but gained in popularity with engineering students. Engineers also rated automakers more highly, with companies like Volkswagen and Ford Motor (F) climbing the ranks. The annual survey polled more than 200,000 students from 12 countries.